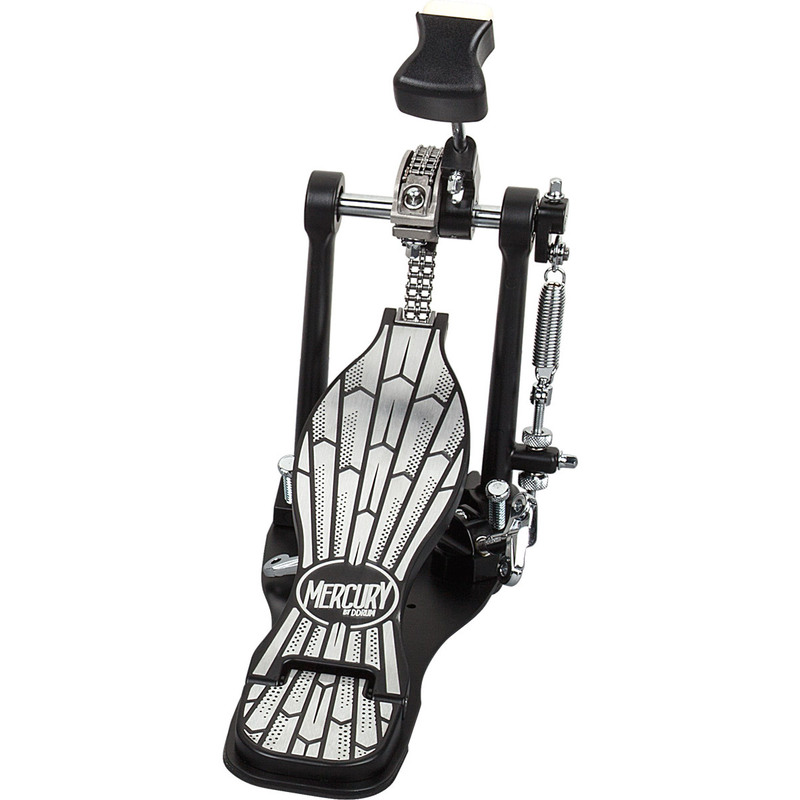 Simple Elegance This lightning fast, double chain drive pedal is what a bass drum pedal should be. 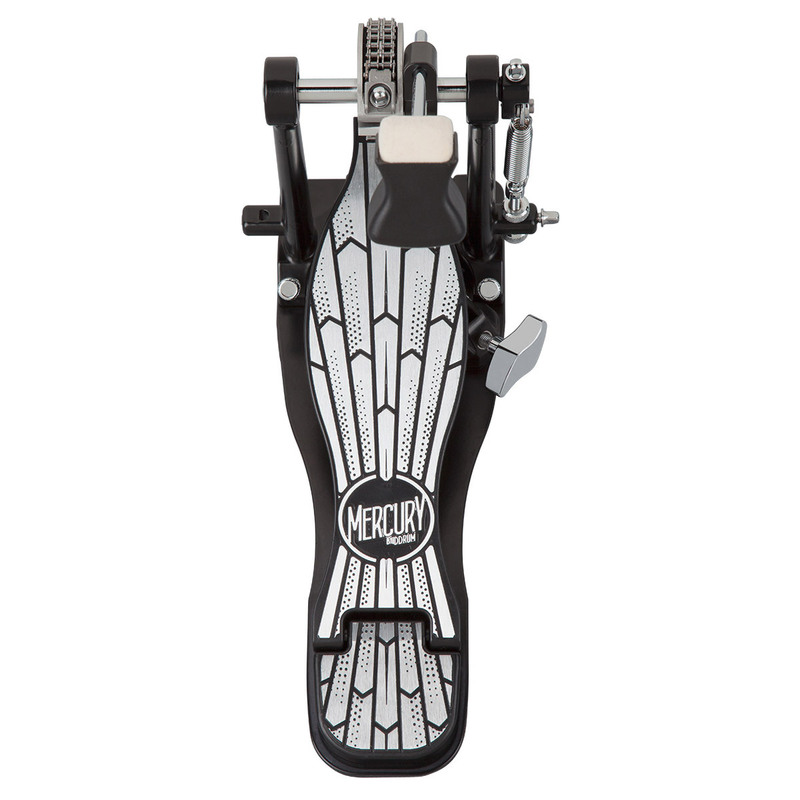 From the 1930s style art deco foot board and the heel plate to the black floor plate, this pedal exudes class, but the liquid smooth bearings and hemispherical cam allow for anything from the lightest most intricate foot work to the most aggressive attack. The Double pedal offers the same features, and using the same technology on the slave unit allows for play, equal to that of the primary pedal. The anodized linkage joint is silent and smooth and is machined to precision. Single and double feature a contoured hoop adjustment, adjustable hoop brace, and offset hoop clamp arm to accommodate all types of metal and wooden hoops. Finally, the adjustable spring can be locked into place by the fixed memory housing, allowing for maximum and accurate repeated delivery for the twin surface beater.